When you are in need of a plumber for your home, make sure you choose the right one. Servicing residential plumbing may seem like a basic enough task, but we know that every plumbing system is unique to its residential property — based on age, use, and the manner in which each component functions with other parts of the system, among other specific factors. There are plenty of residential Ocala plumbing companies, but they are not all equal in terms of quality, reliability, and experience. When you contact our plumbing repair company for a plumbing emergency, plumbing maintenance, or regular plumbing services, you'll notice we're different from the rest. Customer satisfaction remains our No.1 priority. We stand by our work and back it all up with a gold standard warranty on parts and labor. Sunshine Plumbing and Gas is comprised of expertly trained technicians who are ready to assist you with your residential and new construction plumbing needs. Contact us to speak with one of our industry-leading plumbers today. What Residential Plumbing Services Do You Provide? Water is a necessity in every home. Without it, your loved ones will be unable to cook, drink, bathe, wash clothes or use the bathroom. We provide top-quality residential plumbing services, including the following. Plumbing complications in your kitchen can make cooking and washing dishes impossible. Our technicians can provide a variety of solutions to any plumbing issue you may have. We can clean and repair faucets, clogged drains, damaged garbage disposals, clogged sewer lines, water supply lines, water filtration systems, and water shut-off valves. If your pipes have deteriorated over time, are contaminating your water supply, require an update, or would be more cost-effective to replace than to repair, Sunshine Plumbing and Gas is your first call for expert piping services. Common signs that indicate a need for repiping include low water pressure, galvanized iron pipes, discolored water, bathtub stains, continual leaks, and pipes that are older than 50 years. We can help by inspecting your plumbing system and determining whether the pipes should be replaced, and if so, our plumbers can expertly add new hot and cold water pipes throughout your home that are sure to stand the tests of time. When a pipe bursts or your drains become clogged, it is more than an inconvenience. If these breakdowns aren’t properly addressed, water could cause significant damage to your home or your loved ones could suffer without having water to complete daily tasks. Plumbing disasters do not happen according to a schedule — you need emergency plumbers who are available when you need them the most, 24 hours a day, 7 days a week. At Sunshine Plumbing and Gas, our team understands the time-sensitive nature of plumbing malfunctions, and we are available to assist you with any plumbing need any time of day or night. When your bathroom has a leaky faucet, clogged drain in the bathtub or sink, running toilet, lukewarm water in the shower, or low water pressure, Sunshine Plumbing and Gas can help by removing clogs and making any necessary repairs and replacements, all while keeping in mind your needs and your family’s preferences. Water heaters are responsible for heating water to the desired temperature and then dispensing it to the sink, shower, and/or bathtub. If your water heater unit is unable to produce warm water, heats water to a dangerous level, or experiences temperature fluctuations, you should consider a water heater replacement. 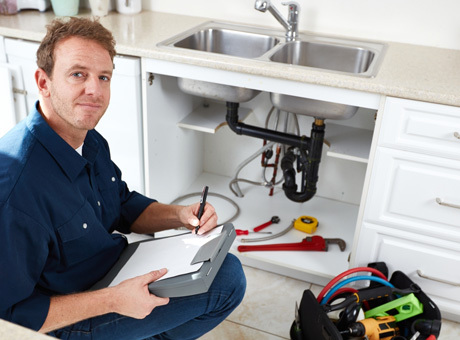 One of our plumbers can help you determine whether it would be beneficial to repair or replace your system and then provide the accompanying services to ensure it functions properly. We have advanced water heater models that can help increase efficiency, save money on monthly utilities, and last nearly twice as long as traditional models. If you find that your residential plumbing system requires repairs regularly, you haven’t replaced your plumbing system in years, or you’re constructing a new house or addition, contact Sunshine Plumbing and Gas. We are committed to providing you with the highest quality products and then efficiently installing them in your house. When you hire our technicians for toilet replacements or other plumbing services, you receive the assurance that your system will function efficiently and effectively for years to come. What’s more, we provide thorough maintenance and prompt plumbing repairs to keep each plumbing component in top shape for years to come.